The Samsung Galaxy S10 will be hitting the market sometime in the near future to the delight of smartphone lovers everywhere. As you read this, speculations and rumors about the product are flooding the internet regarding the upcoming Galaxy S10. 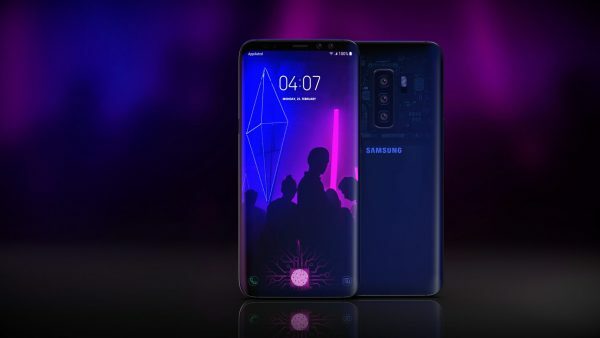 Although nothing concrete has been announced in terms of the features, specs and release date of the Galaxy S10, we can sift the internet to collect and analyze all the rumors and information out there to deduce what may be coming. Samsung is the number one manufacturer of smartphones in the market today. Based in Seoul, South Korea, they have dominated the industry by providing users exceptional products with cutting-edge technology for the last few decades. Though they started out in food processing, textile, insurance and retail, they shifted their focus to the electronics industry in the late 1960s and the rest is history. Today the entire world is waiting for the unveiling of the Gear S4 smartwatch but that isn’t the only magic egg in their basket. Here is everything we know so far about the Samsung Galaxy S10. Well-known leaker Ice Universe shared some information about the Samsung Galaxy S10. 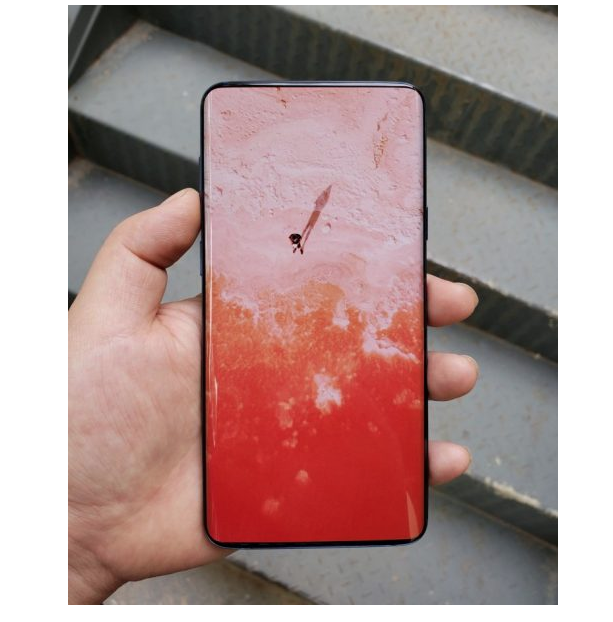 The tweet stated that the screen of the S10 will be covering an impressive 93 percent of the body which is a good 10 percent larger than the Galaxy S8 and S9. It also says that Samsung will be working on their own custom CPU and GPU chipsets for the smartphone. 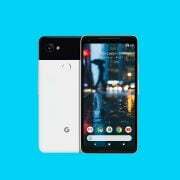 Other notable features mentioned were 5G support and UFS 3.0 support (Universal Flash Storage). A report came out in May made by Chosun Biz that contrary to speculations, the FOD or Fingerprint on Display technology will not be launched in the Samsung Note 9 and instead will come with the Galaxy S10. Ice Universe posted a key piece of information regarding on twitter regarding S10 screen resolution. According to him/her, the resolution will be more than 600 PPI compared to the S9’s 570 PPI. 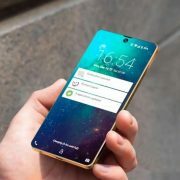 Mobil-helden.de came out with a concept design of the Samsung Galaxy Galaxy S10 based on all the information amassed so far. While there is extremely little chance that the final product may look anything like this, it is definitely interesting to see this version. Ice Universe uploaded a photo on Twitter with the caption “This may be a design beyond” showing a huge phone in his hands. What was interesting about this picture was that “Beyond” is the alleged code name of the Samsung Galaxy S10 and so this picture went viral with many people speculating that the device was the work in progress design of the highly anticipated Samsung smartphone. 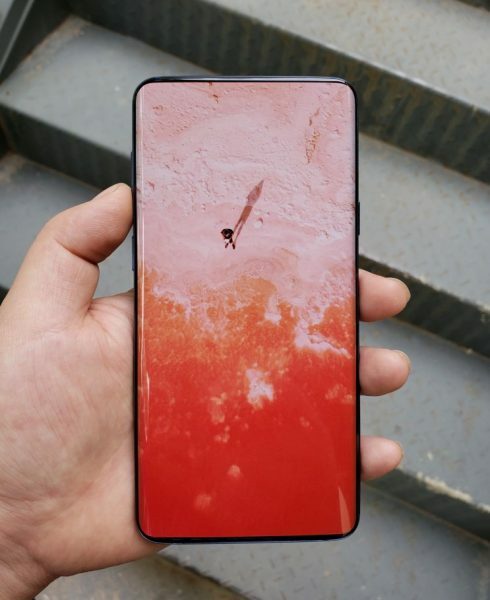 However, it is important to note that Ice Universe himself has never claimed this to be the galaxy S10. A recent report from the Korean publication The Bell states that Samsung might be retiring the Iris Scanner they brought with the Samsung galaxy Galaxy S8. According to the article, there has been no movement in regards to the Iris scanner in the production pipeline so far. 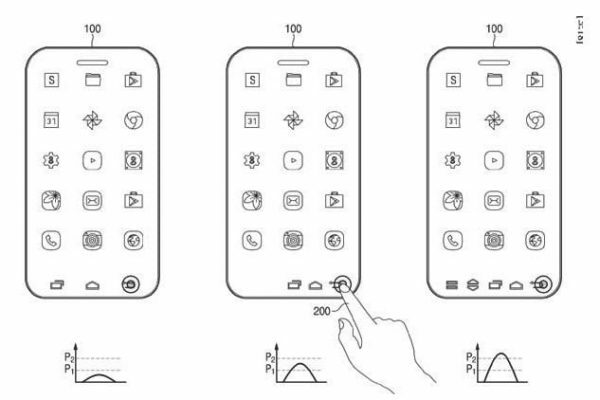 A patent filed by Samsung in March 2018 showed a smartphone that had a screen to body ratio of almost 99 percent with no camera or a fingerprint sensor at the top. If this is the case, then these features would probably be under the display itself. There is no certainty whether this technology will be ready for the mass market or not but one can hope. Sadly, although there were many interesting speculations popping up all over the internet regarding a revolutionary design for the galaxy S10, recent news regarding the final design of the highly anticipated smartphone may disappoint you. A report came out from TheBell stating that Samsung will be focusing more on the performance and functionality aspect of the device rather than the design in terms of innovation. A lot of hype and speculation had previously existed on the design of the S10 as it marked the tenth anniversary of the series. 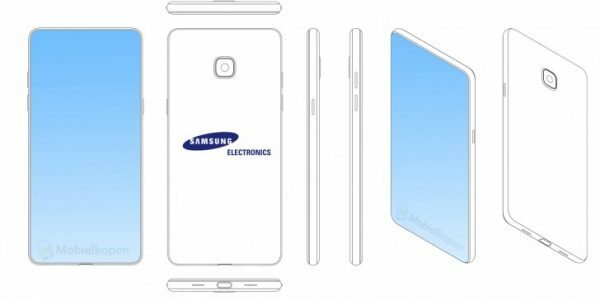 According to the report, Samsung finalized the display specifications for the device on April 16th. The S10 series will be available in two versions, the Samsung Galaxy S10 and the Samsung Galaxy S10 Plus. Both will feature the infinity display design which is a bit of a disappointment. The infinity display was introduced in the Galaxy S8 with the purpose to maximize the screen to body ratio. There will also be no notch at the top of the display and certainly no foldable design as speculated earlier. The panel size for the Samsung galaxy S10 is estimated to be 5.8 inches whereas the samsung galaxy S10 Plus will get 6.3 inches. The S10 screen size is only larger by 0.03 inches when compared to the S9 which is honestly not that significant. But it does tell us that Samsung may have managed to trim down the top and bottom parts of the device. It might be safe to assume that the screen to body ratio may look more noticeable in the S10. The panel production is in its middle stage right now and so there is very little chance that the final specifications might change. The Samsung Galaxy S10’s official code name is said to be “Beyond”, according to South Korean publication TheBell. Now, why is a code name important? It actually might tell us a lot about the product because a codename is essentially used to showcase what a manufacturer intends to achieve with their product. Before the Galaxy S8 was released, its code name was “Dream”. That name was given because it was Samsung’s dream at that time to surpass Apple in the smartphone market. The S9 had “Star” marking its position as the star of the Galaxy series so far. “Beyond” however could mean that Samsung is planning to push the limits of what we think is possible for their latest smartphone. It’s very plausible that we might get a device that will revolutionize the smartphone industry. So far, Samsung has never strayed away from the purpose of their codenames and there’s nothing we know so far that leads us to think otherwise. Rumors about the Galaxy S10 coming with an in-display fingerprint scanner had spread like wildfire on the internet. Later on, several online reports and even Samsung confirmed that the S10 would feature the in-display fingerprint scanner. According to Sammobile, the Samsung Galaxy S10 might come with a triple lens camera instead of the traditional dual lens. Huawei had already released their triple lens camera on the P20 Pro to much acclaim from the market and it seems that Samsung is getting ready to compete with them. Exact details about this feature haven’t been released yet but there are rumors that Samsung is planning to provide a far superior user experience with their camera feature than what exists in the market today. A report from ET News states that Samsung is planning to go for a 6.2 inch sound emitting OLED display which will use vibrations to transmit sound from the display as opposed to a traditional speaker. If that is the case, we might see even smaller bezels on the Samsung Galaxy S10. The article also showed a working prototype that was displayed at the SID 2018 Display Week Exhibition. This technology will make it so that you can hear sounds only when your ear is near the transmitter. When your ear is further away from it, you won’t be able to hear anything at all. This definitely would be an interesting feature to have on your smartphone. Though the front face sensing technology of the S9 was hyped before its release, it was easily the weakest part of the phone. The technology was impressive in the Galaxy S9 however it wasn’t as advanced as the one you see in other products. This led to a disappointing experience when it came to the A.R. emojis whereas Apple killed it with theirs. 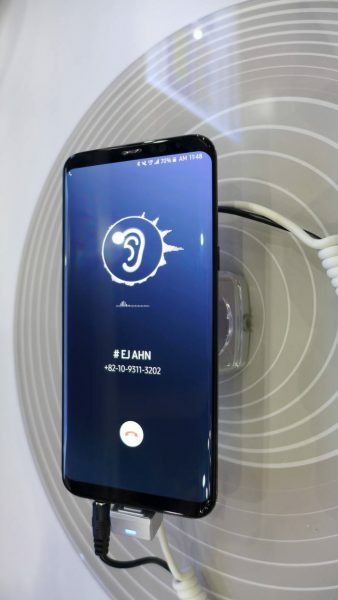 Since this part of the S9 was vocally expressed online, there is a very good possibility of the S10 knocking it out of the park when it comes to the face sensing technology. Another report came out stating that Samsung will be rolling out 3D sensing camera modules for the S10. The smartphone giant has paired up with Mantis Vision, an Israeli 3D camera solution company to create the tech needed for this feature. There has been no official release date for the Samsung Galaxy S10 so far but it is estimated that the device will be officially announced in the first quarter of 2019. The annual Mobile World Congress event takes place on 25th February 2019 and there is a very good possibility that we will see the final product there. At the same time, Samsung could easily announce it through their company based event also but wherever it might be, we can be pretty sure that it will be in the first or second quarter of 2019. Although nothing official has been released in terms of the price, the Samsung Galaxy S10 will definitely be more on the expensive side at $1000 or more considering the S9 was priced $980 when it was released. When you compare the price of Galaxy S7 which was $670 and Galaxy S8 at $914, we can see the overall rise in price points. When you take emerging technology and other added benefits that the S10 will bring, it’s safe to assume that the final price may be somewhere above $1000. Follow this article to get the latest updates as we get closer to the end of the year. 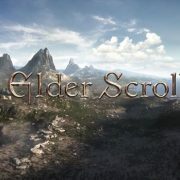 We will be updating this article with the latest news, rumors, and leaks as soon as they hit the internet.